After lusting after Nars products for years, I finally got something from the brand for Christmas and to say I was excited was an understatement. I finally got the bronzer everybody and their dog had been raving on about and was so excited to try it out. Not going to lie when I first seen it in the packaging I was scared as it looked so dark but it doesn't transfer onto the brush as dark and you can build it to your desirable colour which I love. 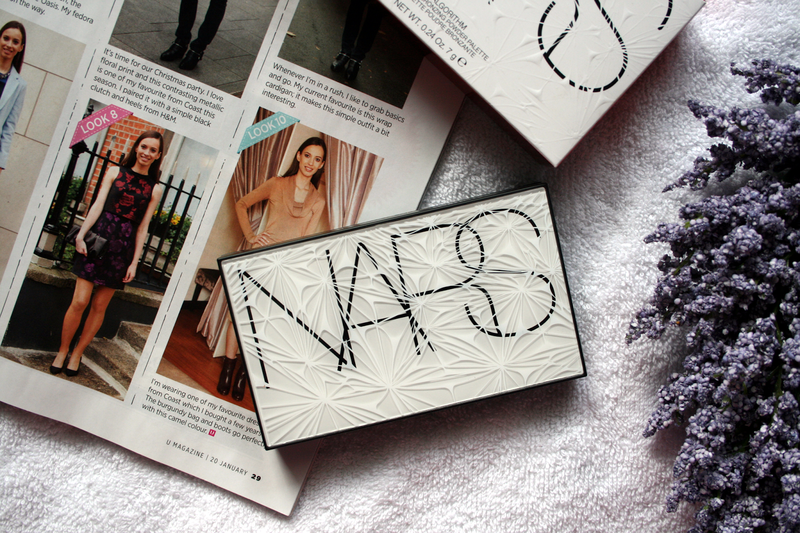 Speaking of the packaging this one isn't the normal sleek looking Nars packaging and I think it was a limited edition version? Honestly I'm really not sure but it came with a mini version of the ever so famous Nars ITA brush which was a bonus as I had been dying to try that out also. I'm going to start out with the ITA brush. Obviously it's a lot smaller than the original as it's the mini sized one so it doesn't have the long handle on it. After hearing so many great and amazing things about this brush my mind instantly told me that this was going to make contouring a breeze. Straight to the point..I don't like the brush like at all. I just don't see or understand the hype about it. Yes it's the perfect shape but personally I think I would much rather if the bristles were more structured and sturdy. I just find it was too fluffy to actually use it to contour. It was great getting to try out the mini sized one because now I know I don't have to splurge the money on the original sized because I would have been so upset to spend that money and end up not getting along with it. Onto a happier note, the Bronzer has fastly become one of my faves and I totally understand the hype! It contains little glitter particles but not a crazy tacky amount and it just helps give a gorgeous sun kissed glow. The product like I said doesn't transfer onto the brush as dark as it looks in the packaging, allowing you to build it up to your desired shade. The product is so unbelievably soft and creamy and very fine in consistency. Another thing I love about it is the huge mirror attached in the packaging, definitely a great one for if you're travelling or just need to have a mirror on hand for when fixing up your makeup throughout the day. I've been loving wearing this since getting it and I'm forever reaching for it now when doing my makeup. It's just such a gorgeous shade and I normally apply it twice to get my desired shade. I can now finally say that I totally understand the hype about this bronzer. 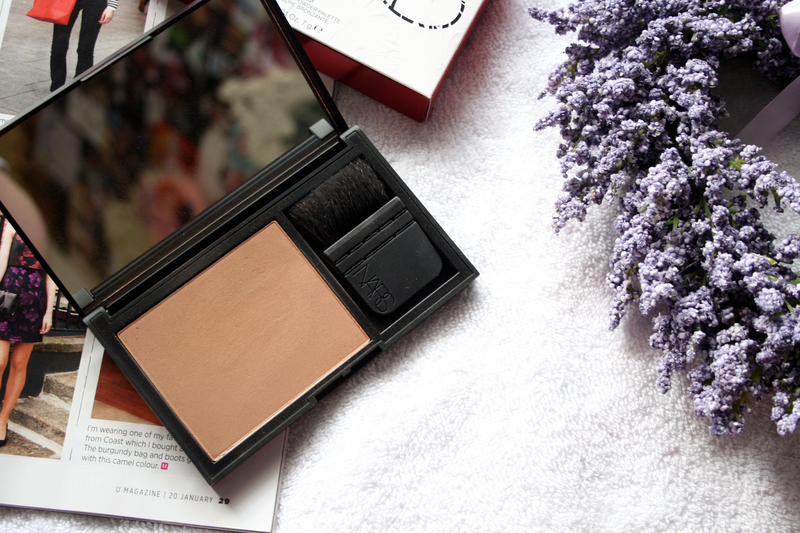 Have you tried the Laguna bronzer? I love this bronzer, I've been through two of them already, it is such a good one and I will continue to re purchase it! Such a lovely bronzer! In love with this limited edition packaging! 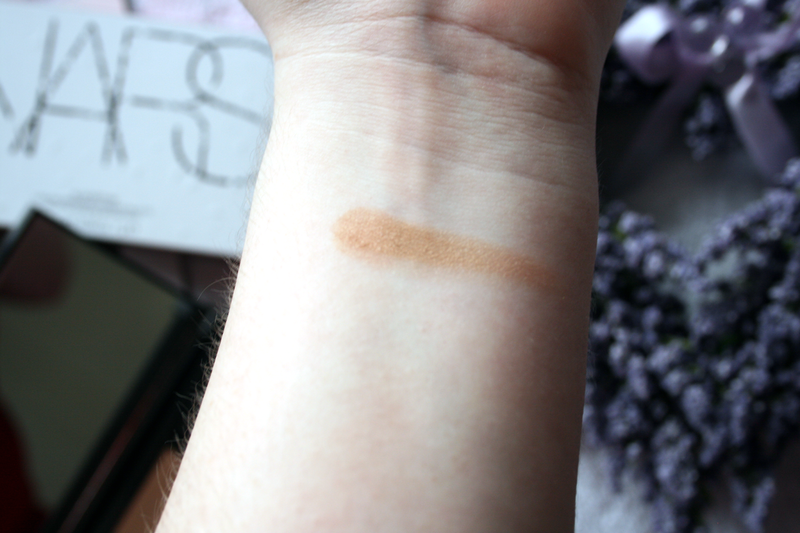 Laguna bronzer is a fantastic bronzer, never looks muddy or too orange, and it is great using it as a crease colour for an amazing eye look too.